Visit our separate listings for extensive tours to India, Himalayan countries, Indochina & Sri Lanka. However we also visit other destinations favored by the curious traveler such as North & Central Asia as well as South Pacific islands such as Indonesia, Malaysia and even Australia and New Zealand and list them here for your convenience. Ride horses in Mongolia or walk the Great Wall in China. Cruise Voyages to Antiquity from Hong Kong to Bali or travel the Silk Road to Bukhara. 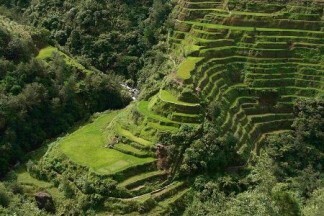 Visit the 2000 year old tiered rice terraces in Banaue. Take a journey off the beaten path to any of these amazing places!